John Scalzi has a post on his blog telling publishers to not take his innocuous comments about the “Big Idea” posts on his blog and make them book blurbs. The “Big Idea” posts are written by various authors to publicize their books, and Scalzi’s comments are just introductory in nature, not meant to be praise or censure; yet publishers are using them as blurb comments, because Scalzi’s a big name in science fiction (and I WILL praise one of his books, Redshirts–hilarious and touching, and you can blurb me on that) and a blurb from him is worth something, even when it’s essentially meaningless, I guess. It does strike one as a violation of Wheaton’s Law, of which one would expect a reader of Scalzi’s blog to be aware. I wonder if his blog post will do him any good, because it seems to me a lot of folks at publishing houses (and authors, when they self-publish, or are forced to do their own marketing) tend to not read the instructions carefully. Besides, turning innocuous comments or outright bad reviews into outstanding blurbs has a long and illustrious history, especially on movie posters. I had an experience in that direction myself. Back in the day, before Austen paraliterature (which now seems to be universally known as JAFF) became a published genre of its own and we had to walk barefoot in the snow uphill both ways to get our extracurricular dose of Janeishness, the acknowledged gold standard in Pride and Prejudice paraliterature was The Confession of Fitzwilliam Darcy by Mary Street. 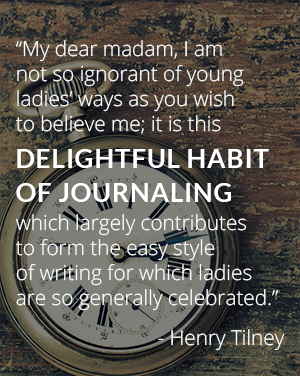 I posted a little review on a page of similar reviews on Tilneys and Trap-doors (this was way before AustenBlog, sometime in the early 2000s; the book was first published in 1997? 1998? shortly after Firthageddon) and received several emails from Janeites all desperate to own this book. At the time it was, unfortunately, out of print. These Janeites offered to buy it from me, asked where they could buy it, oh where could they buy it? Because they had to own it. You could smell the desperation in their emails. One, I remember, wanted it for his or her mom, but the rest were just desperate for MOAR DARCY. And mom was just desperate for MOAR DARCY, too, so there you go. I felt bad that I couldn’t help them. All I could do was send a link to bookfinder.com, suggest setting up an eBay alert for the book, and wish them luck. One woman actually wrote back to thank me, so I made bold to ask her why she (and so many others) were so intent on finding the book. The woman wrote back and said she wanted it because, unlike any other P&P paraliterature title at that time (remember, there weren’t that many back then in the dark days before print on demand), it got consistently good reviews. She had been disappointed in other such books, and hoped this one would be different. I could get behind that sentiment. At the time, used book sites were offering copies of Confession for hundreds of dollars, because people who owned it apparently liked it a lot and were hanging on to it, so copies on the used book market were rare and desirable. I became annoyed on the author’s behalf that she had the opportunity for all these sales and no way to get them, and that she wouldn’t get a share of these outrageous prices, even if anyone were foolish enough to pay them. Even my correspondents didn’t seem THAT desperate. So one day I wrote a letter to the publisher, Robert Hale, telling them all about how many people wrote to me asking for the book, and that maybe they should consider a reprint, because I was confident it would sell well. As the publisher didn’t have an Internet presence at that time (remember, early 2000s), it was an actual letter, printed out on paper. I had to stand in line at the post office for an airmail stamp. The things I do for you, Janeites! My efforts paid off in a very polite and British letter from Hale, saying they were aware of the interest and reconsidering a reprint. At that point, I knew I had to call in the cavalry. I posted at the Derbyshire Writers Guild and told the Dwiggies that if they wanted to read the book, write to Hale and tell them so. They were enthusiastic, and a letter-writing campaign was organized. It took a while–a year or so if memory serves–but after some dithering, Hale announced a reprint. It warmed my icy tar-coated spinster heart, Gentle Readers, let me tell you. At last, all those Desperate Janeites who craved a copy of the Confession would be able to get one for their very own. 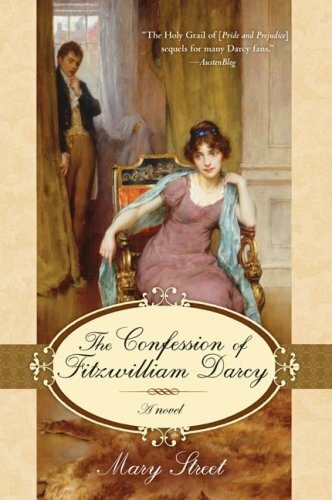 Amanda Grange, the author of (Mr.) Darcy’s Diary, wrote to tell us that the Holy Grail of P&P sequels for many Darcy fans, The Confession of Fitzwilliam Darcy by Mary Street, will be reissued by Robert Hale at the end of January. Emphasis added; you will soon know why. Of course I meant that it was the Holy Grail because it had been so difficult to obtain. Each reprint by Hale was small, and would quickly sell out, and we would be back to the book going for $250 on the used book sites. In 2008, Berkeley did a reprint in the U.S., which was the occasion for much rejoicing in Janeiteland. When I received a review copy, I was amused to note that my short post alerting my Gentle Readers to the availability of a previous reprint was, er, appropriated as a blurb, which I hope is readable on that image. I couldn’t get mad about it. I did describe it as “the Holy Grail of P&P sequels for many Darcy fans,” though I meant it in a completely different context. But the whole thing made me laugh, and I like the book well enough, so I decided to not make a big deal about it; I was just happy that the book would remain in print, making Janeites happy and paying the authoress royalties. I can see why someone would find it annoying, though, in a less benign example.